Greencore’s largest shareholder has boosted its stake in the sandwich-maker by tendering significantly fewer shares than it was entitled to under a share buy-back it had lobbied the company to launch. A stock exchange filing yesterday shows that Polaris Capital Management holds a 13.8pc stake in the Irish firm, up from 9.45pc prior to the tender offer. It passed the 13pc threshold on February 7. Polaris Capital had pressured the Irish food group to launch the £509m (€580m) buy back of its own shares as a means to return capital to investors following the sale of its US arm. Greencore bought back nearly 37pc of its own shares under the tender offer. 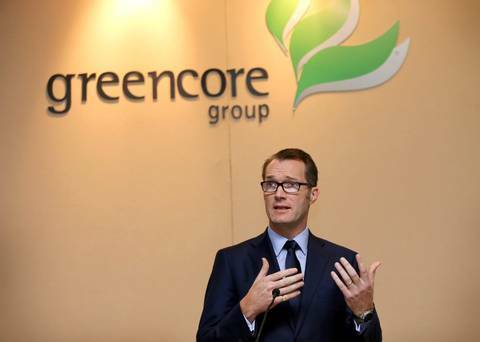 None of Greencore’s board, including chief executive Patrick Coveney, sold stock back to the company under the tender offer, in what was a show of commitment in the group. Greencore, one of the world’s biggest sandwich-makers, bought 261m of its own shares – the maximum permissible under the tender offer. It could not clarify Polaris’ holding beyond the notice to the stock exchange yesterday. If Polaris did not avail of its full entitlement to sell shares to the company under the tender offer, while other shareholders did, it was left with an increased stake in the company even without buying additional shares. Greencore decided to return cash to shareholders after it sold its US arm for $1.07bn (€930m). It originally intended to pay a special dividend to split £509m among shareholders, but the plan was criticised by investors, including Polaris, which proposed the tender offer as an alternative. “In effect, others sold and/or we sold less thus increasing our ownership,” said Polaris founder and lead investment manager Bernie Horn in a statement. Another Greencore shareholder, Susquehanna International, has now exited its shareholding altogether. The company most recently held a 6.5pc stake.